Custom Rigging from Novatec Braids Ltd.
Novatec Braids Ltd. has a complete rigging shop capability from small cut to length rope components to winch lines, custom dock lines, ship hawsers and mooring components. Our in house tensile testing lab can break test ropes and fabrications up to 30,000 lbs. Ask about our splice certification programs. Chafe-Pro® chafe protection is available from Novatec in yacht and commercial grade for the towing industry, ship assist & ship-tow operations, ferry companies, casino boats, pleasure craft, mountain climbing, high rise window cleaning and hose protection. Mooring Pendants - Mooring pendants are custom fabricated to meet your specific performance requirement. 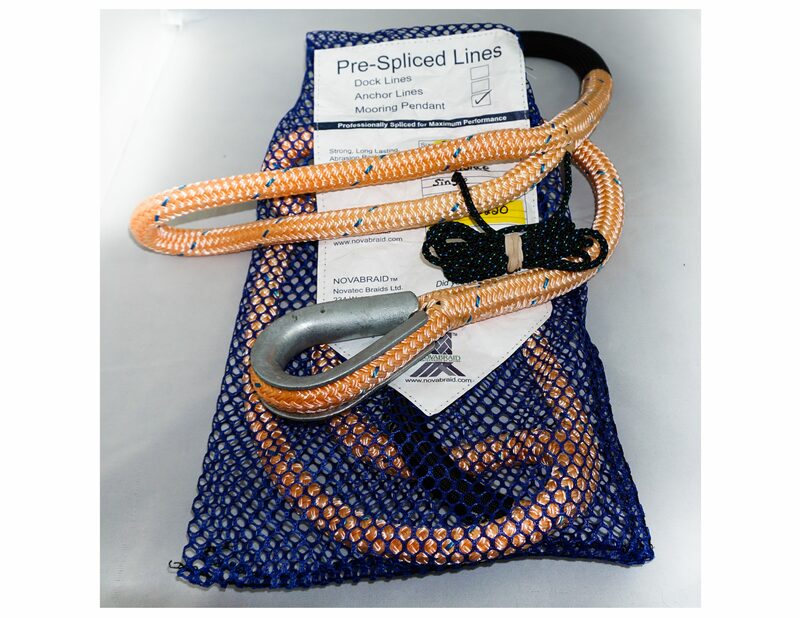 Docklines - Professionally Spliced Docklines Our docklines are professionally spliced with a soft eye and lock stitch on one end and heat seal on the other end.